It’s hard to make pan-fried pork mince look good. But I think that’s its only downside. It’s so tasty, cheap and you can pick up extra-lean packs, which make you feel pretty saintly. Having said that, when I whooped “isn’t pork mince great? !” Thomas thought about it quite seriously, and replied “mm…well, it’s not in my top five types of meat.” But I know him well enough, and I recognised his expression of concentration, to know that he was struggling to rank ‘rib eye steak, leg of venison, fillet of beef…’ in his head…. London has turned tropical overnight. It was only last week that I was filling my hot water bottle and double-layering socks—and then, all of a sudden, Bethnal Green is hotter than Bermuda. With no intention of wasting any valuable balcony-basking time in a Tescos queue, I did a crazed Supermarket Sweep-style dash after work lastnight. I chucked some vaguely Mediterranean ingredients into a basket and bolted. Once the sun dipped behind the city and I’d peeled myself off the balcony chair, I realized that, in my haste, I’d done quite an uninspiring shop. Chicken and mozzarella. A white salad. A bit anemic. A bit…vanilla. Which got me thinking. 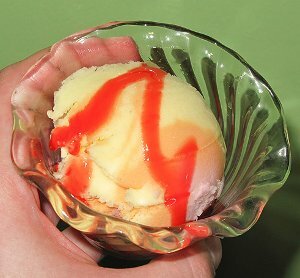 It got me thinking about when I was a child, and Mr Whippy vanilla ice cream would be “flavoured” with that watery, chemical strawberry syrup. 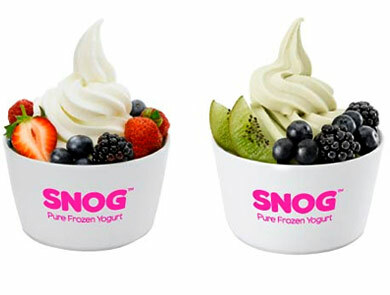 Now step inside a Snog, or a Frae and you’re not going to leave without piles of fresh fruit and berries piled high over your vanilla or frozen yoghurt. Yum. Revolutionary stuff. I’ve never been good at salad dressings. I wouldn’t say that anything I ever make really enhances plain, ‘vanilla’ salad leaves, as much as just makes them greasier. So I took inspiration from the new wave of ice cream parlours—and rather than adding colour and flavor to my salad with a drizzle of oil, I piled juicy, and flavoursome tomatoes all on top of it all instead. It’s so easy to do this, and it makes a plain salad approximately 100% better. Halve a handful of (good) cherry tomatoes. Roughly tear up half a slice of granary bread. 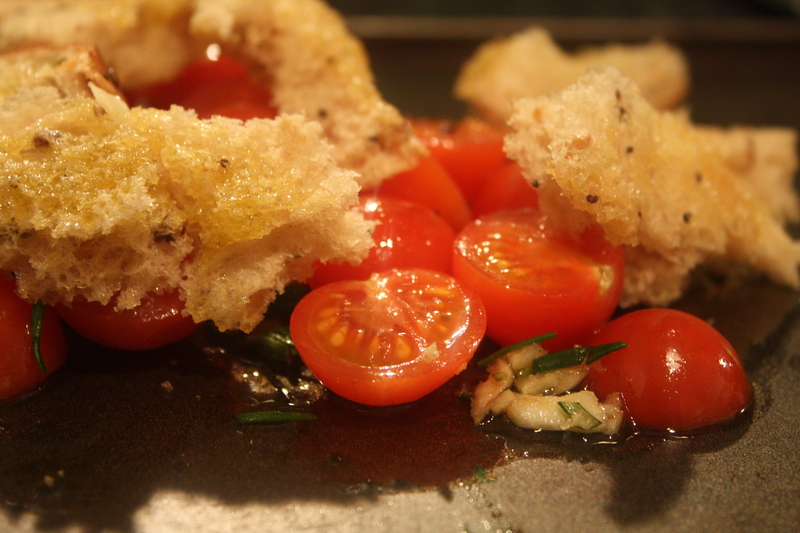 Put the tomatoes and bread in a bowl, and toss in two tablespoons of olive oil, one tablespoon of balsamic vinegar, one crushed garlic clove and a bit of chopped rosemary. Mix with your hands to make sure that everything has been nicely coated in the flavoured oil. Pile onto a baking tray, and cook for 5-10 minutes at about 180C … long enough for the tomatoes to turn warm and sticky, but not too long so that the bread turns black. In the meantime, prepare the rest of your salad. I sliced up one small breast of chicken and fried it with a good slug of oil, and the juice and zest of half a lemon—this adds a bit more colour and flavor than a plain, grey-white baked or boiled chicken breast. For this particular dish, I used watercress, chicken, torn-off bits of mozzarella (all boring so far), and then I piled the steamy, garlicy, juicy hot tomatoes on top—delicious! I love the new Sharwoods advert. But it does confirm something I’ve always suspected—that the curry sauces on supermarket shelves aren’t meant to taste of India…. I learned this recipe on a cooking course six years ago, and it’s been my go-to dish ever since. 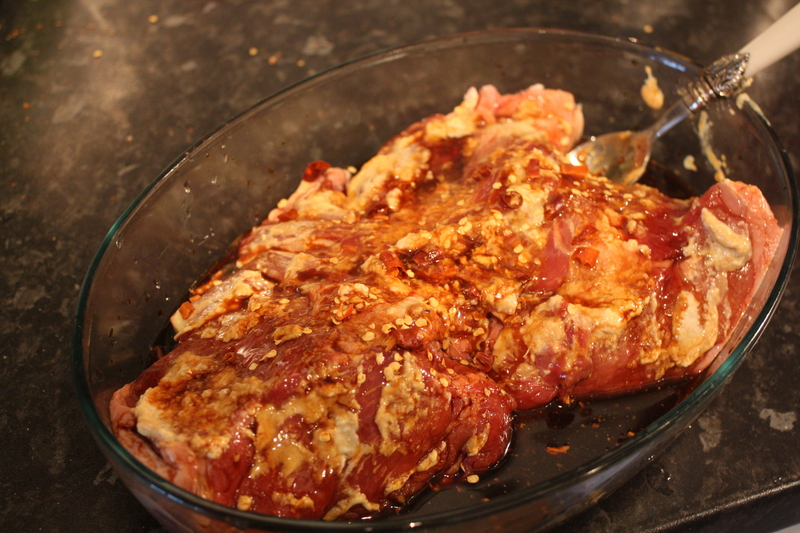 In fact, the first cooking job I did, I was called up at 10 o’clock in the morning and told that I’d be cooking supper in Gloucestershire that evening, so I legged it to the butcher, got a butterfly leg of lamb and chucked this marinade all over it – that’s the meat sorted, because it just needs putting in the oven and carving. No faff. So easy….